Some friends and I are showing some work in their studio. Its at a DIY gallery space TheShed in Beacon, NY. 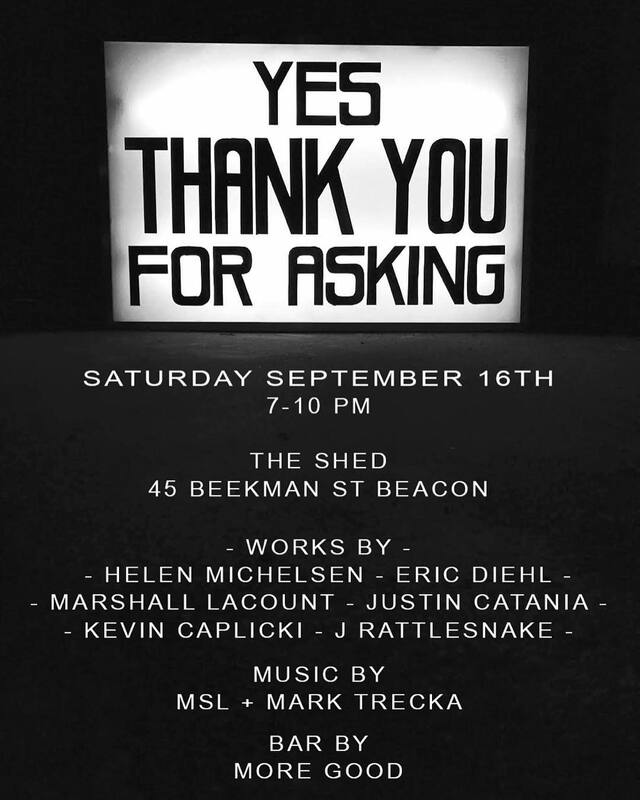 An exhibition of work by Helen Michelson, Eric Diehl, Marshall Lacount, Justin Catania, Kevin Caplicki, J.Rattlesnake.